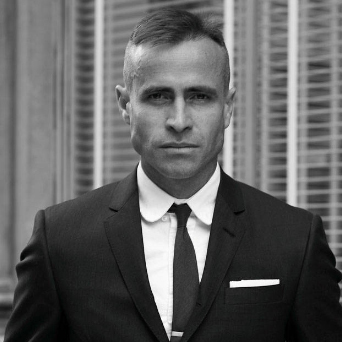 The creations of the American Thom Browne, recognized as the most influential stylist in the world, leave a lasting impression of radical elegance. The interplay of proportion and upper-class style, the protégé of Anna Wintour gives us his vision of the 50’s. In 2011 he teamed up with the luxury Californian brand Dita to create the Thom Browne spectacles collection. In acetate, natural horn, titanium or tortoiseshell, the Thom Browne frames are assembled by hand, using traditional know-how. Each frame is an exquisite mixture of boldness and rigor where attention to detail pushes urban sophistication to the limit.